Active Ride Shop has long been a staple where skateboarders and skate shoe lovers alike get their kicks. 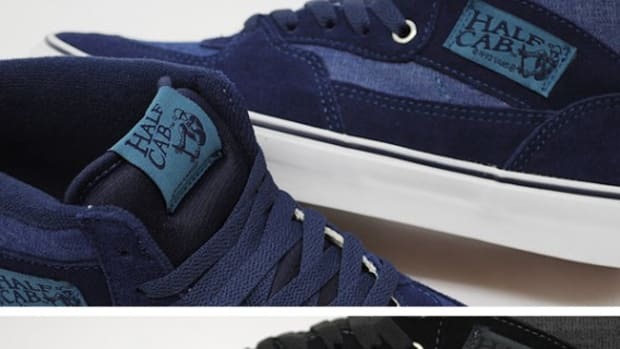 Last year Active teamed up with several different skate shoe companies in a charitable effort to design shoes for their special "Drop Sneakers Not Bombs" campaign. This year the campaign will kick off again on November 11th, and once more a portion of proceeds will go to the Invisible Children&apos;s cause. 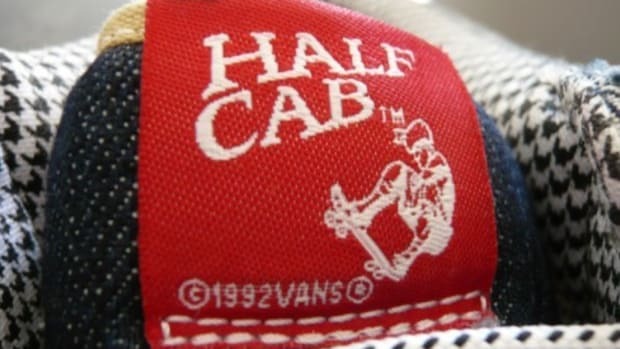 Here we see the first sneak peak of this installment, a VANS Half Cab. 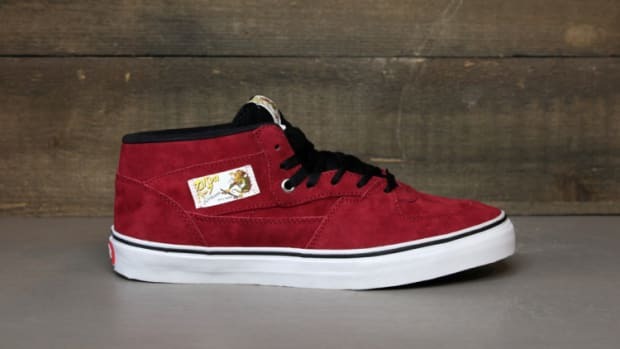 Quite possibly the most popular skate shoe ever produced, the VANS Half Cab has dominated the skate shop shelves for nearly 20 years. 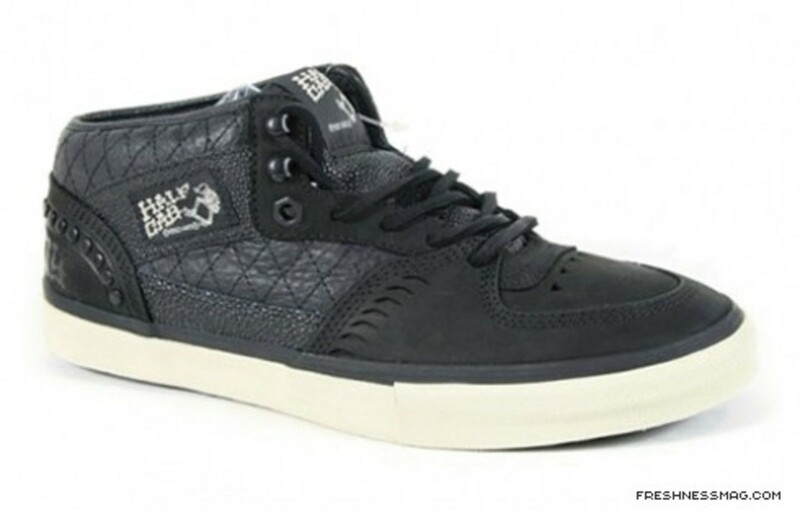 This special edition Half Cab is set apart from the rest with its use of several premium leathers on its upper including quilted leather and oiled suede. A thick black pinstripe sets the off white mid sole a part from the upper. 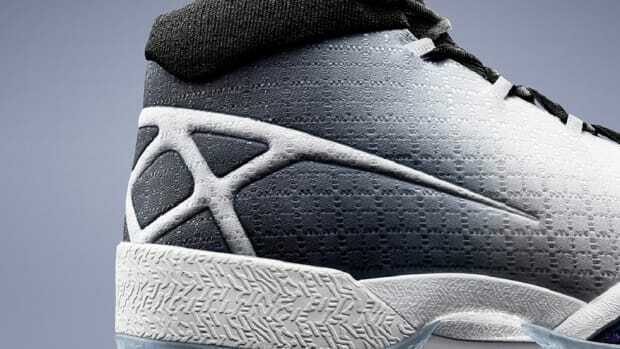 Each pair comes topped off with leather shoe strings. For more information stay tuned to Vapors Magazine or the official Drop Sneakers Not Bombs web page. 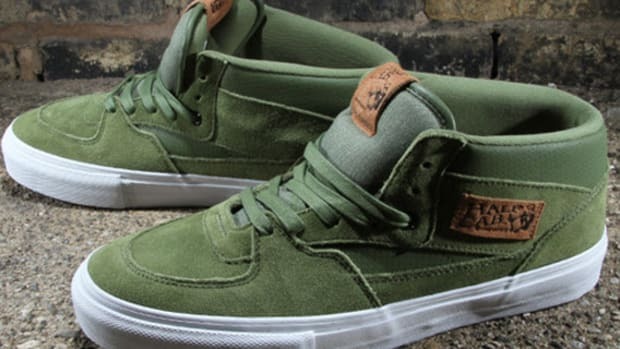 Primitive x VANS Half Cab - "Cable Knit"